In Bangladesh, full bellies mean rice. At the end of a long day, a hot meal is what most look forward to. A plate of rice alongside seasonal vegetables. The fruit of one’s labour in the fields can quench hunger. Simultaneously, this very labour has been central in improving people’s livelihoods. This agrarian country owes much to its farmers. Which is why, as Bangladesh moves forward, our understanding of development and food security cannot neglect the sector vital for its growth: Agriculture. Agriculture plays a powerful role in poverty reduction, according to a study done by BRAC’s research and evaluation division. Titled “Strategic Agricultural Sector and Food Security Diagnostic for Bangladesh”, the study revealed that the agricultural sector can reduce poverty-related sufferings faster than other sectors. Professor Abdul Bayes, director of BRAC’s research and evaluation division, emphasised the high attention agriculture demands due to its capability in creating job opportunities. According to the study, a 1% rise in agricultural income has the potential to reduce poverty by 0.39%, compared to the 0.11% reduction brought on by non-agricultural income. Bangladesh is now facing a shortage of labour in the agricultural sector, which is accompanied by increasing labour costs. This scarcity of labour is stemming from workers shifting their focus to non-agriculture markets. However, an opportunity does exist. The agricultural sector is one that is dominated by male workers, and women’s engagement is rare due to socio-cultural constraints. If given the right opportunities, women can have an immense contribution. 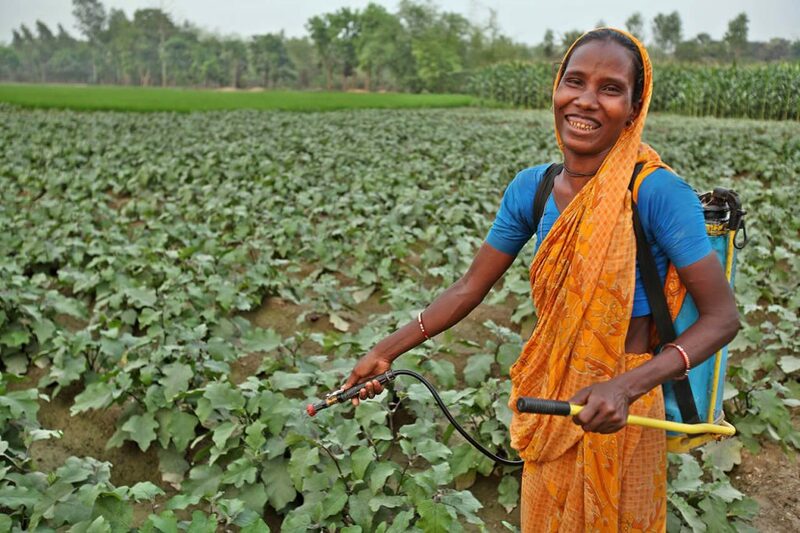 Women’s engagement in mainstream agriculture can bring about a socio-cultural revolution in the societies of farm workers. 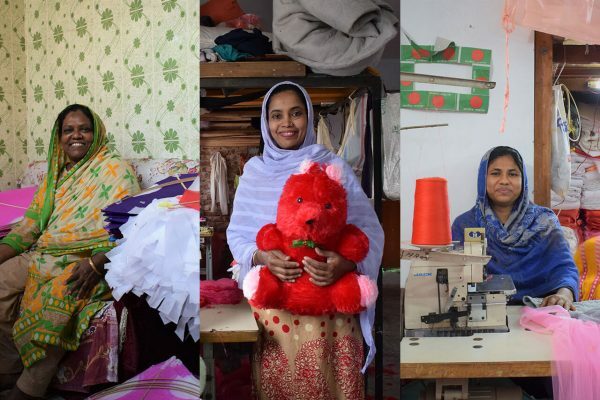 Access to knowledge regarding crop cultivation, farm-management, agro-market, and technologies can open a new window not just for women, but for the agricultural sector in Bangladesh as a whole. We can even go as far as to say that by strengthening women’s positions in agriculture, food security can be achieved. What does food security mean to people at the grassroots? Achieving food security means concentrating on emerging concepts around the term itself. New components regarding socio-cultural and public health development are being added to the definition. However, for those at the grassroots, the definition is merely to have food on their plates. They perceive food as the availability of rice (staple source of carbohydrate), but a comprehensive and sustainable food security concept intends to secure all social and public health related features of an individual. This is where a gap can be observed between developmental paradigms and community perceptions regarding food security. Here, BRAC has the potential to intervene, and play an effective role in achieving food security as per developmental expectations. What are the potentials of integration and collaboration? The research identified some key aspects, and focus was placed on crop diversification. This could be extended to the diversification of the entire agricultural sector, because all fields (fisheries, livestock, poultry, etc) in agriculture, along with crop cultivation, are important areas in terms of collaboration. Holistic and sustainable diversification of agriculture can help achieve sustainable food security. BRAC’s programmes can start with integrating green technologies, such as a system of rice intensification (SRI), composting, organic fish feed preparation, fortified orange fleshed sweet potato cultivation, etc. 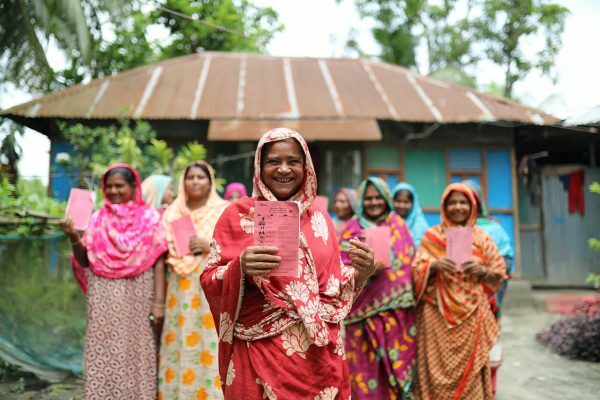 Awareness and knowledge transfer activities have already existed as a pilot project of advocacy and social change programme in the climate-affected Satkhira of southern Bangladesh. A recent study shows a positive behavioural impact on participants – particularly adolescents – in adopting climate resilient livelihoods. BRAC has been practicing SRI in contextualised, environmentally friendly ways. For example, alternate wetting and drying is a good way to manage underground water. SRI also promotes other practices, such as the use of compost fertilizers rather than chemical fertilizers, and natural pest control system instead of chemical pesticides. BRAC artificial insemination can be used in the development of cattle rearing. Encouraging people, especially adolescents, to take up livestock rearing can be done through proper training and credit support. Expansion of cattle rearing may further help contribute to a rise in the protein intake of people. Apart from the contribution in food security, it will provide bio-ingredients for compost. Agriculture is an important engine of the growth of Bangladesh’s economy. To utilise this sector in effectively alleviating poverty, some changes of conventional agricultural practices are vital. Using diversified activities and their effective integration in the agricultural sector can pave the way for the country’s growth and for improving the lives of its people.